All you need are "Head & Hands"! I met Amanda a few years ago and having discussed shop life and the dream of being a small business owner I'm so happy to see that her vision is now a solid one! Nestled in the new Meanwhile Space "Central Parade" found in Walthamstow's main commercial artery, Hoe street - it's a mix of incubator start up shops, artist & makers studios, a community café/bakery and also a hot desk space- Amanda's new venture couldn't be more typical of this lady's entrepreneurial spirit and holistic view of the world. 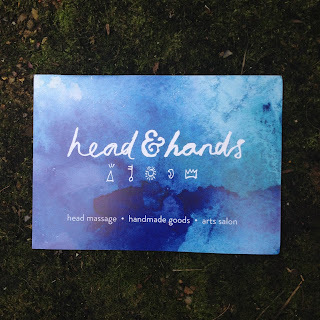 Head & Hands is a space where people are invited to purchase hand made goods (hand picked by Amanda for their quality, charm, beauty and healing properties), experience a head massage and view the work of some amazing makers and artists. From hand made jewellery, hand made apothecaries, textiles, blended teas, ceramics, illustrated tarot cards to beautifully made macramé wall hangings. Though this is not solely a shop as the main philosophy behind it is to offer people services which promote and encourage mindful and meditative practices the pieces which are for sale are exceptional as well as beautiful. I could easily spend a whole heap of cash in there!!! The premises are compact but welcoming. The space is relaxed and harmonious with a nice flow of energy and grace. You can say it's actually a bit like Amanda! This artist- come- massage therapist is fully licensed and will treat your mind, body, and soul in her art & therapy salon. We've also heard from Amanda that in future she'll also be organising workshops to help keep those hands busy and heads chilled! It's been proven that busy hands make for a healthy mind so we're completely on board with this philosophy and we hope to see these workshops up and running soon!!! This is why I love the concept of this business so much, the offering of holistic well being through creativity is something which resonates with me and I'm sure will with many others too. 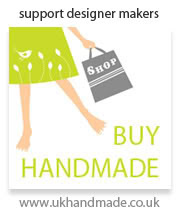 So if you'd like to know more then pop by her little shop or visit the web site. 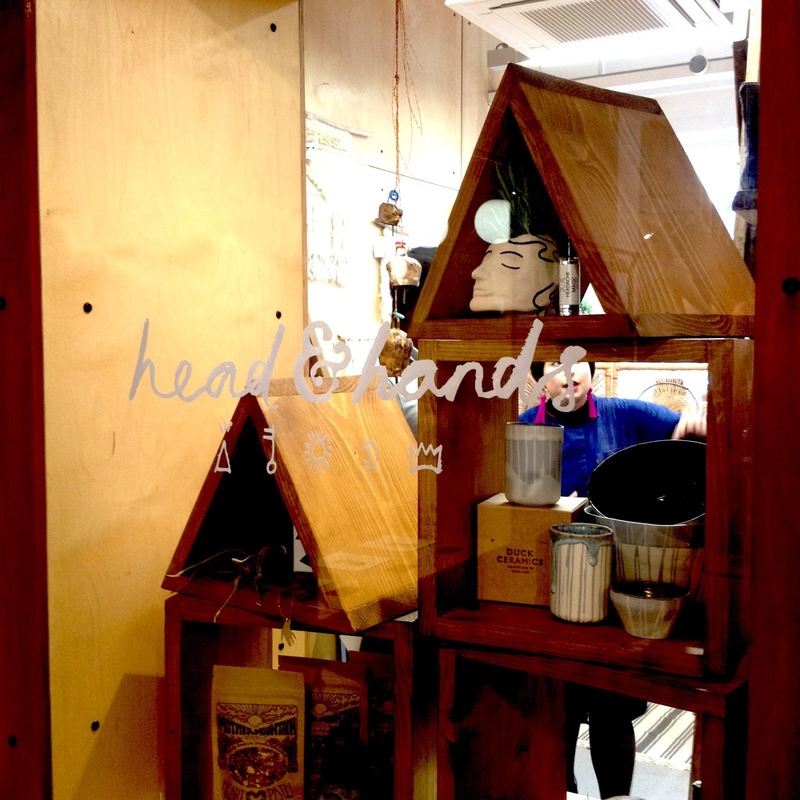 You can visit Head & Hands at 6-10 Central Parade, Hoe St. Walthamstow E17 4RT. Open on Monday, Tuesdays, Thursdays and Saturdays. So in a world where emotional and physical well being is many times taken for granted I'm pleased to say that people like Amanda are helping us take back our need for some personal TLC. Thank you Amanda for offering the community something original and amazing! We wish you luck, though we really don't think you'll need it! Crochet therapy... 20 mindful, relaxing and energising projects! Crochet and craft have in general been perceived as nothing more than a twee pursuit, hobbies for housewives, the domain of nans or past times for expectant mothers but thanks to a new generation of makers and health practitioners it is also being regarded as a viable therapy! 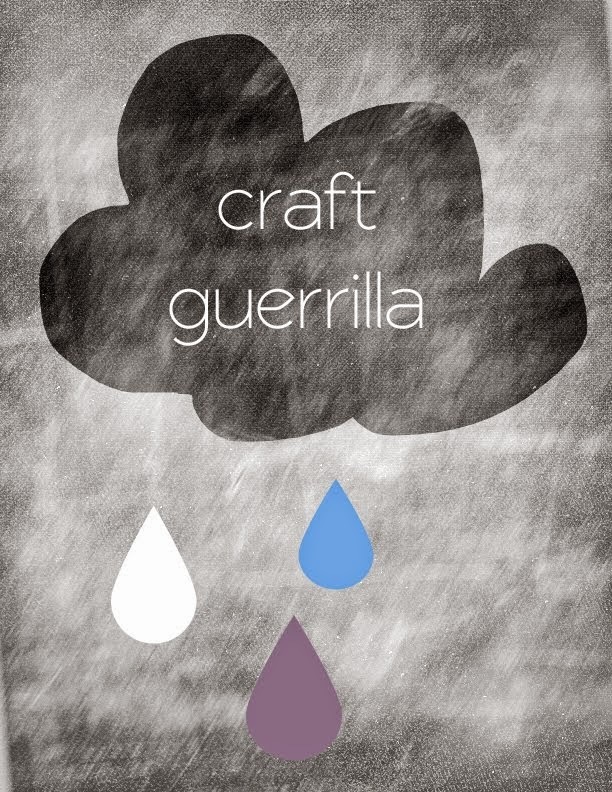 To say that Craft saved my life would not be an exaggeration. You see, let me explain, during the mid 1990's I went through something quite difficult in my life, some sort of P.T.S.D. which left me with agoraphobia, anxiety and debilitating panic attacks. 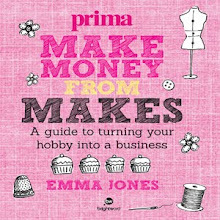 It was tough and though I tried lots of things the one thing which helped me more then any pharmaceutical was crafting! Not that I am by any means advocating that drugs don't work -they can be a life saver for many people with mental health issues so please don't stop if you are being treated!- but for me it happened to be a mixture of meditation, counselling and making that pulled me out of the abyss. 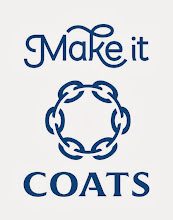 Though it was predominantly crafting that helped me through a dark time I encourage anyone facing similar issues to see their GP for help and advice. Everyone is different so please seek help from a health professional! The basic idea of this book is that you work on one of twenty suggested projects whilst employing mindfulness-based meditative techniques. Projects and exercises are grouped according to a different outcome. There are projects for relaxation, focus, refreshment, perseverance, and even for crocheting with others to celebrate friendship and the support of a community group! I love the Friendship Quilt made up of tiny individual flowers (pictured below) and I think it's a fantastic symbol of just how important and lovely individual friends can be and how together their help and love becomes even more powerful! Looking at this quilt knowing that your friends helped to make it must transpose a feeling of love which is pretty awesome especially at times when you're not feeling great so this will serve as a gentle but powerful reminder. I really love this and hope to make my own too! Funnily enough this was what prompted me to start the craft nights back in 2008. Crafting with others in a group gave me back my confidence and pretty much helped me get rid of the agoraphobia. Though it's something which never entirely goes away when I feel the mega stress monster knocking at the door I turn to crafting! 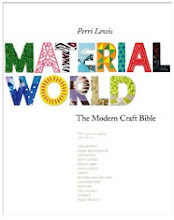 It's something I've been advocating for years so this book just confirms that Craft Does Work!!! So why crochet in particular and not just craft? Well the idea of bringing together mindful meditation and crochet makes sense. Personally I love the repetitive and hypnotic nature of movements in crocheting. It's something which I find calming and centring. Plus working on one discipline can be better than dipping in and out of several crafts so allowing your mind to easily follow and flow withing one basic skill and movement. And there’s been a lot of credible evidence on the benefits of mindfulness based therapies for a variety of problems including depression and anxiety. The overall consensus on the project variety is that it's good. From stress-balls to shawls as well as basic mandalas and other simple projects like friendship bracelets which are great for absolute beginners! I can confirm that the patterns are clear and well laid-out so not scary at all and as a basic crocheter you'll have to take my word on that! I might not attempt the other more advanced projects just yet but I'm planning on having a look on line for a couple of refresh tutorials before I continue. actually it's a bright and friendly looking book so it also works on the visual part of the brain which can make you feel happy. And calm! Well looking at pretty, colourful things always makes me happy! 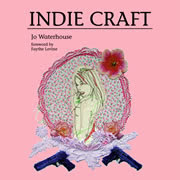 And if you've never crocheted before there's lots of help at the back where the author has added the basics including how to hold the hook and yarn to find the perfect tension to get you going. Plus I must reiterate that the benefit also comes from the actual physical making so don't get too hung up on how precise or accurate it is. It might be the perfect excuse to join a class or even get a few crocheting friends around for an evening! The meditation exercises are simple and well explained but as the author suggest recording them on your phone might be a good idea as it'll help keeping a natural flow instead of stop starting to read what you need to do next. If meditation isn't your thing then I'd stick to doing the projects with an open mind and an end goal of achieving them so to feel the sense of completion. Quiet contemplation will naturally happen as you proceed so don't get in a tangle if you think it's not your scene because you will reap the benefits no matter what! Besides you'll make some lovely things too so... win win! 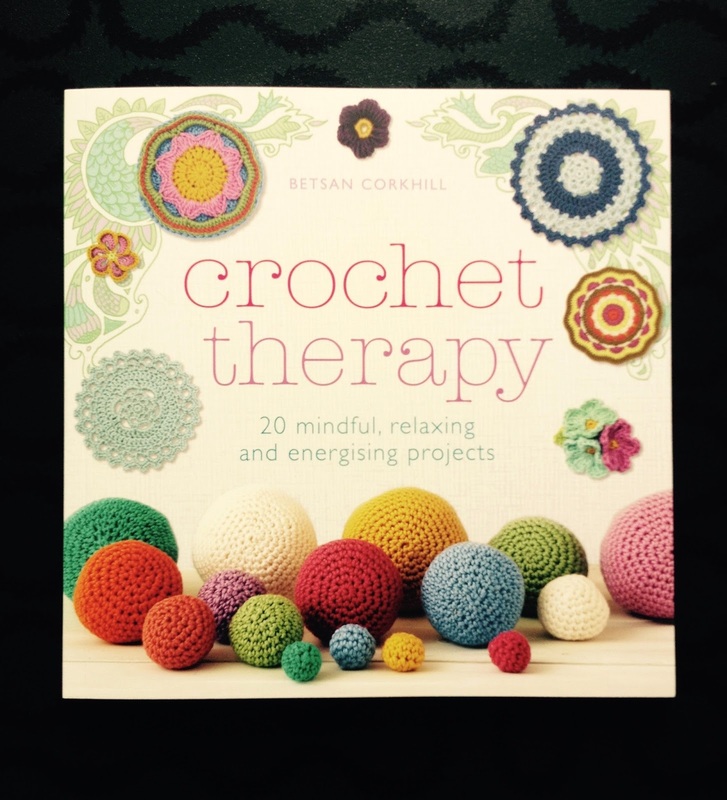 Crochet Therapy was written by Betsan Corkhill a physio turned well-being coach, who’s made it her life mission of bringing the holistic benefits of crafting to the public psyche. Her background as a physical therapist is perfect for understanding the effects of the small physical movements involved in knitting/crochet. She's also the founder of Stitchlinks, an organisation created to bring creative therapy and yarn based crafts to a wide range of people. To order 9781845436421 Crochet Therapy for £10.00* including p&p, telephone 01903 828503 and quote offer code QPG442. Or send a cheque made payable to : Littlehampton Book Services Mail Order Department, Littlehampton Book Services, PO Box 4264, Worthing, West Sussex BN13 3TG. Please quote the offer code QPG442 and include your name and address details. *UK ONLY - Please add £2.50 if ordering from overseas."